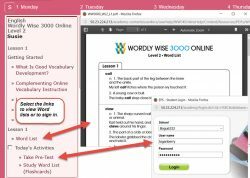 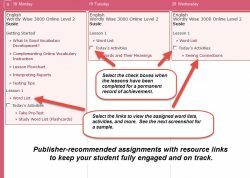 Take full advantage of your Wordly Wise 3000 Online subscription with these official, publisher-approved lesson plans. 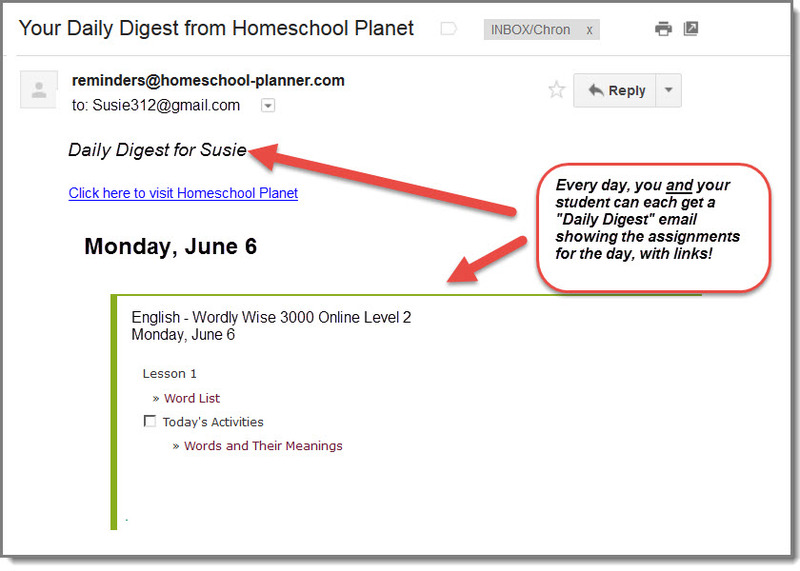 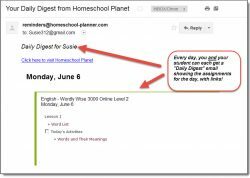 The plans -- one for each grade level -- lay out a recommended course of study in Homeschool Planet and give you and your student one-click access to your Wordly Wise 3000 Online subscription and some of its most useful resources. 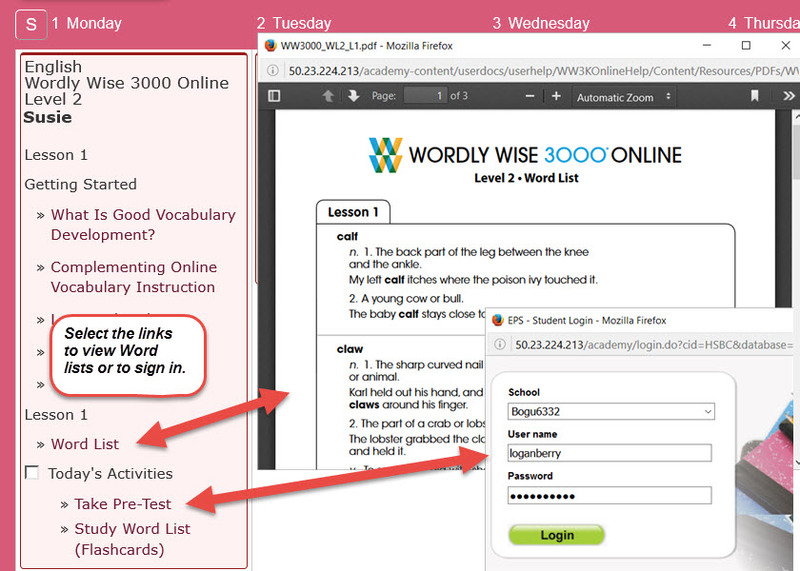 Note: Once your student has logged in, Wordly Wise 3000 Online has them continue where they left off. 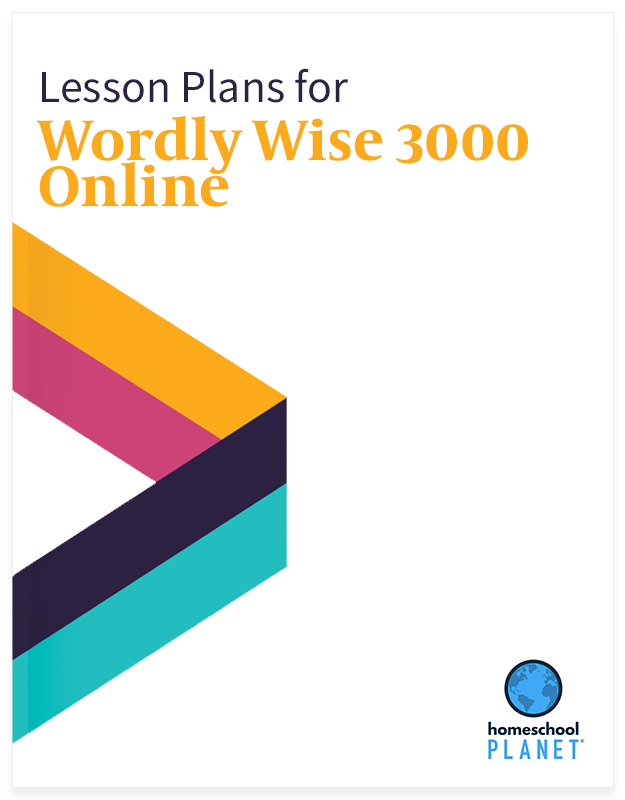 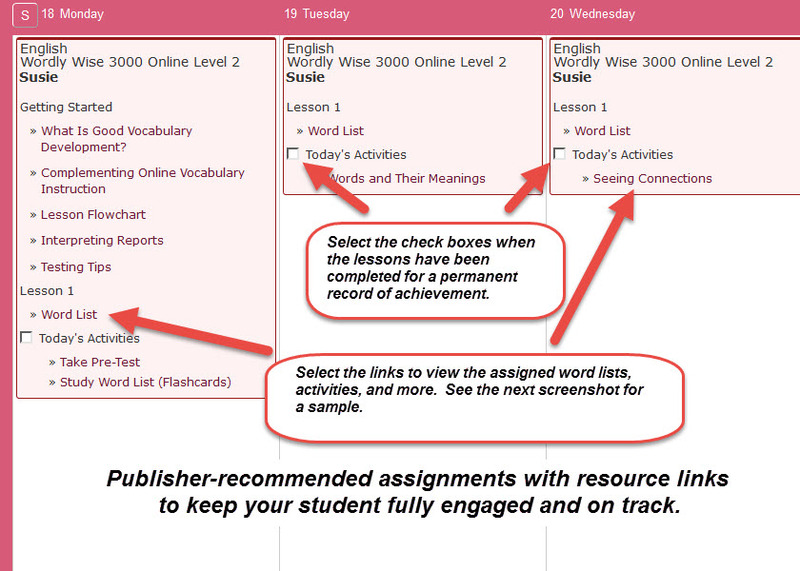 Lesson plan bundle includes ALL Wordly Wise 3000 Online lesson plans.